Research in my lab focuses on understanding the controls over carbon, water, and energy fluxes through terrestrial ecosystems. This includes the interaction between abiotic and biotic processes and the feedbacks to global biogeochemistry cycles and climate change. I am particularly interested in understanding these processes across multiple scales (e.g. internal plant signals to continental level carbon dynamics) using plant physiological ecology as a foundation for my research. 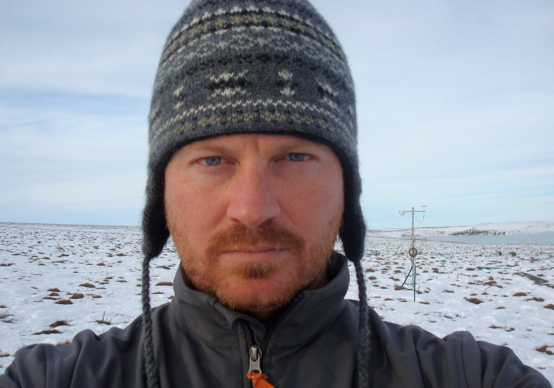 My research makes use of the latest environmental instrumentation to understand the relationships among climate, biogeochemistry, and plant physiology. Over the past decade I have been involved with research in a multitude of ecosystems around the world, these include but are not limited to: Arctic Tundra, Everglades, Southern Pine, Lowland Neo-Tropical Rain Forest Ecosystems. Roel's studies will explore the carbon, water and energy dynamics for a cellulosic biofuel feedstock and how this compares to natural forested systems. Prior to joining the lab Roel's research focused on understanding the biodiversity of tropical forest ecosystems. This includes monitoring the biodiversity of forest, grassland, and agroforestry ecosystems to determine changes that happen in relation to climate change and anthropogenic disturbances. His M.S. research determined ecological niches of an endangered tropical tree family using a model-based approach to help in better management and restoration of this family. Gavin research interest will focus on understanding the effect of Hurricane Michael on the carbon, water and energy fluxes of Longleaf Pine Savanna ecosystems. Gavin joined the lab in the spring of 2019 after completing his undergraduate studies at Youngstown State University in Ohio. Rajit Patankar - April 2011 – April 2012 (Operations Manager, Neon Inc). Helene Genet- March 2009 – December 2010 (Current, Assistant Research Professor, University of Alaska, Fairbanks). Justin Becknell – July 2013 – June 2015 (Current, Assistant Professor Colby College). Debra Davis – September 2010 – July 2012. (Current, Assistant Professor, Wingate University, N.C.). ​Jessica Schedlbauer - August 2007- July 2010 (current, Associate Professor West Chester University, PA).